This is a comprehensive and engaging guide to understanding and enjoying tea. Beautifully illustrated and written in a reader friendly style, this publication serves up a variety of plants and their uses around the world. 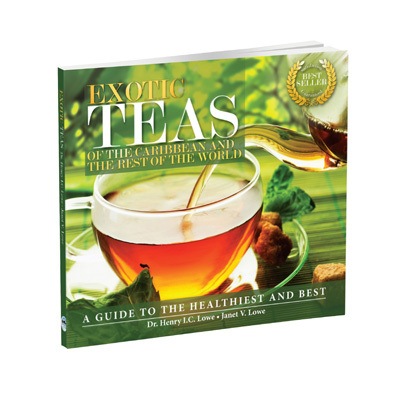 This updated edition is includes educational illustrations of various teas and their medicinal practices. Janet Lowe is a graduate of the St. Johns University, USA in which she was awarded a B.Sc. in Accounting and Management. She later earned her MBA from New York University. She has pursued specialized management training in areas such as Philanthropy and International Law. She is a business professional with extensive experience in Finance and Accounting. Her expertise extends to employee and retiree benefits, and company charities related to Foundation establishment and support. Her over 20 years experience in the corporate environment has allowed her to achieve functional collaboration with all stakeholders, while protecting integrity. She has served as Business Consultant to companies such as Philips Electronics in Florida, where she also served as Advisor for their Corporate Citizenship program, which supports health and education benefits for staff family members and minority.